Is it possible to create a highly entertaining, educational, multi award winning show, enjoyed by people all over the world about a boy with autism? Well, the answer is yes. The Curious Incident of the Dog in the Night-Time, and more specifically Sion Daniel Young, who on this occasion plays the show’s central character, provides a wonderfully insightful peak into the thought process of someone on the autistic spectrum. This cannot of course, be a representation of everyone with autism as it’s such a wide spectrum. But there is easily enough depth in Christopher’s character to highlight the everyday challenges, along with some of the remarkable abilities of many people with this condition. Simon Stephens’s stage adaption of The Curious Incident of the Dog in the Night-Time is based on the best selling book by Mark Hadden. The story is centred around Christopher Boone, a 15-year-old with Asperger Syndrome. Christopher finds himself in the role of amateur detective as he tries to solve the mystery of who killed Wellington the neighbours dog. Christopher lives with his somewhat down-trodden and sometimes abusive father who struggles to cope with Christopher’s unusual view of life. Gradually we realise that the father appears to be hiding a dark secret adding a sinister undercurrent to the plot. When the father’s web of lies begins to unravel, Christopher travels to London in order to find his estranged mother. As he makes his way through the city’s busy streets, the production does a good job of representing the sensory overload faced by autistic people in noisy and confusing environments. One important issue that was touched on, is the need for greater understanding of autism amongst public officials. Christopher’s black and white thinking and poor communication skills landed him in trouble with the police on more than one occasion. Although these scenes were played with a certain amount of humour, it does reflect a real problem that the police are trying to address. In 2014, I was commissioned by both The National Autistic Society, and The Metropolitan Police to help create training material that would help police officers communicate more effectively with people on the autistic spectrum. I have personally worked with at least two people on the spectrum that have been arrested and even faced the possibility of imprisonment when their inability to communicate effectively led to conflict with police officers. Christopher is drawn to mathematics, and is the only pupil in his ‘special’ school taking an A-level maths exam in this subject. He is able to retain enormous volumes of facts about the solar system, and endless streams of mathematical equations can be unleashed effortlessly on anyone willing to listening. Yet Christopher struggles with life’s everyday tasks that should be straight forward for him. This is important because its typical of the uneven skill sets found in autistic people. I was particularly impressed with the high-lighting of Christopher’s difficulties around social-understanding and his overly literal comprehension of speech. There were also references to his sensory problems, typically high levels of anxiety and even epilepsy. This is a condition that is thought to have a higher prevalence amongst people with autism. Christopher’s incredibly logical and rigid thinking leaves little space for emotion. He prefers the company of his pet rat to the unpredictability of relationships with other humans. When feeling stressed, Christopher comforts himself by becoming engrossed within the detail of his train set. 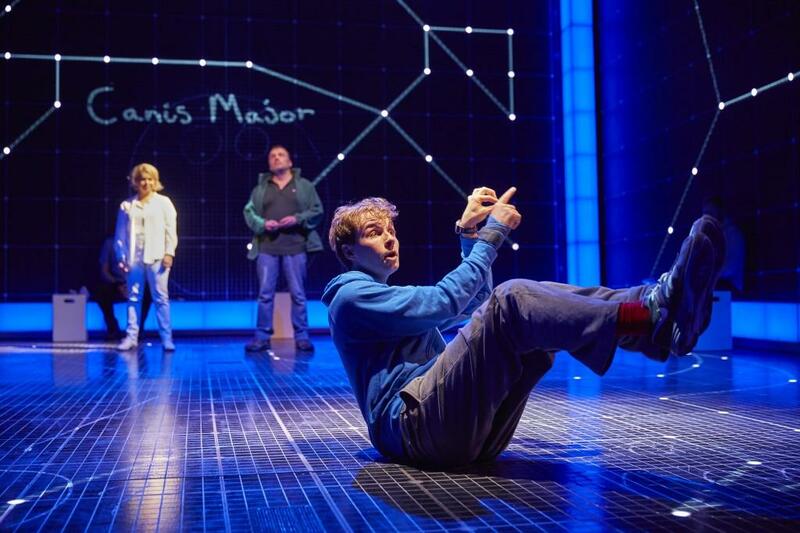 The show’s spectacular, yet sparse staging, reflects Christopher’s fascination with prime numbers and the unshakable certainty of mathematical equations. The brilliantly executed lighting and video effects, combine with world-class sound design and musical scores, to create a highly unique and sympathetic set. If I had one criticism, it would be the multiple use of four letter words hurled at Christopher by his father. Although it may add realism, I wondered if this was really necessary. There were a lot of young people in the audience and I personally found the swearing a little uncomfortable. Perhaps I’m just turning into an old prude! After the show, I asked Sion Daniel Young how he’d researched Christopher’s character. I was intrigued by the accuracy of his portrayal. Although he didn’t seem to have a special interest in autism other than it’s importance to his role, it’s clear that he has done a great job of studying a range of autistic symptoms on visits to an autistic school. His ability to consistently depict the type of mannerisms found in many autistic people, is nothing short of remarkable. Sion’s performance is honest. His straight forward approach to the part does not patronise or seek sympathy on behalf of the autism community. He handles the many complexities of the disorder with great integrity. The viewer can’t help but feel a warm affection for Christopher Boone. His child-like vulnerability and different way of processing information, typical of many autistic people, sets him at odds with the world. Audience members on the spectrum will recognise his difficulties and feel a kinship, as they see themselves in Christopher. Mark Hadden states that his book and stage adaption is not specifically about autism. In fact, this or Asperger Syndrome is never mentioned. 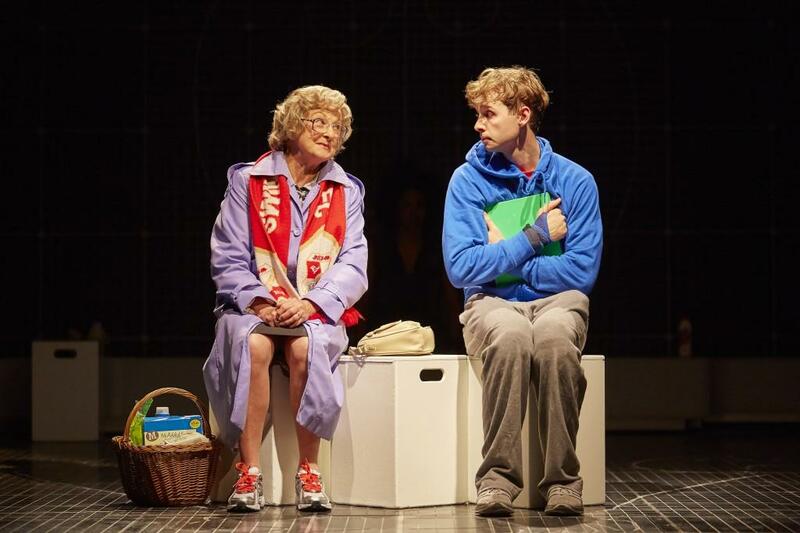 For me, The Curious Incident of the Dog in the Night-Time is a show about a boy with autism who goes on an adventure that allows us to see his disability from the inside out. For this reason it will appeal to people that have an interest in autistic spectrum disorder. 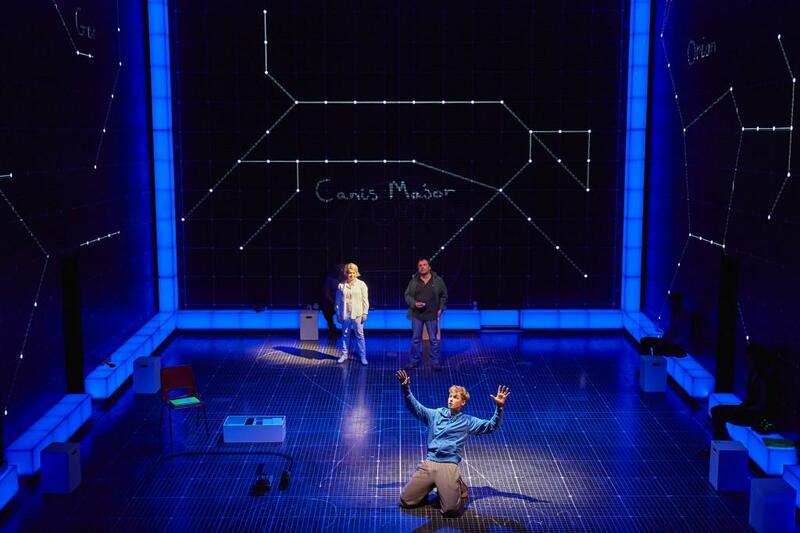 For others, The Curious Incident of the Dog in the Night-Time provides a highly enjoyable, and thought provoking show that is innovative, well crafted, and at times hilarious. 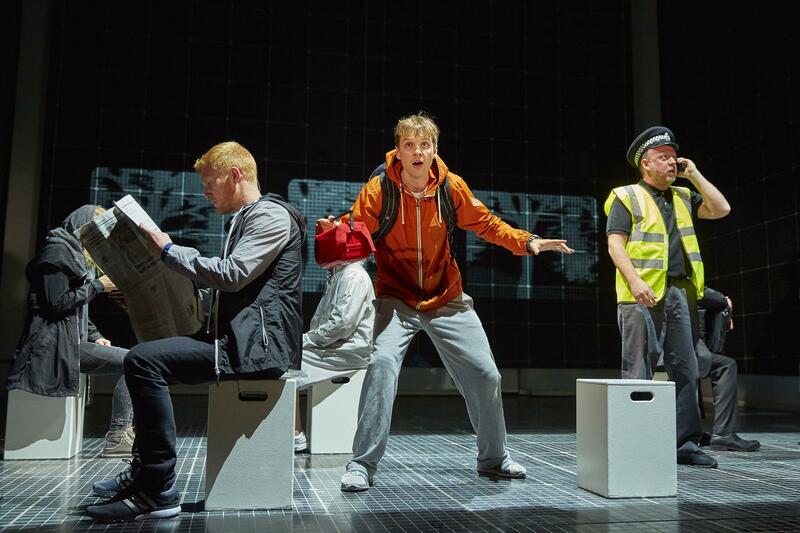 Whatever your reason for seeing The Curious Incident of the Dog in the Night-Time, you will come away with a smile on your face, and a greater understanding of autism. I would like to thank Chris Rice-Digital & Social Strategy Director at Premier, for inviting me to the show and giving me the opportunity to write this review.